Will accommodate up to 8 chickens comfortably. Available colors include Galvalume, Red or Green. 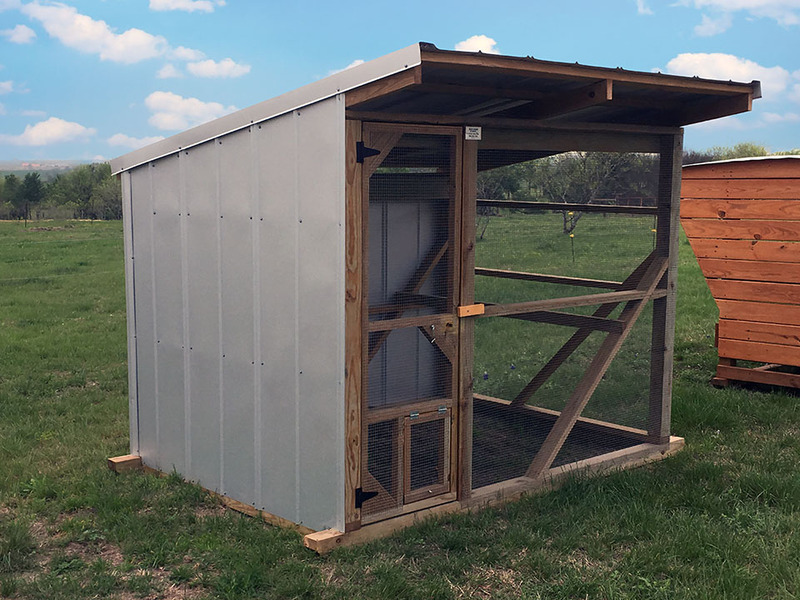 Our mid size coop that will house 15 chickens comfortably. Available colors include Galvalume, Red or Green. For the serious back yard chicken producer. 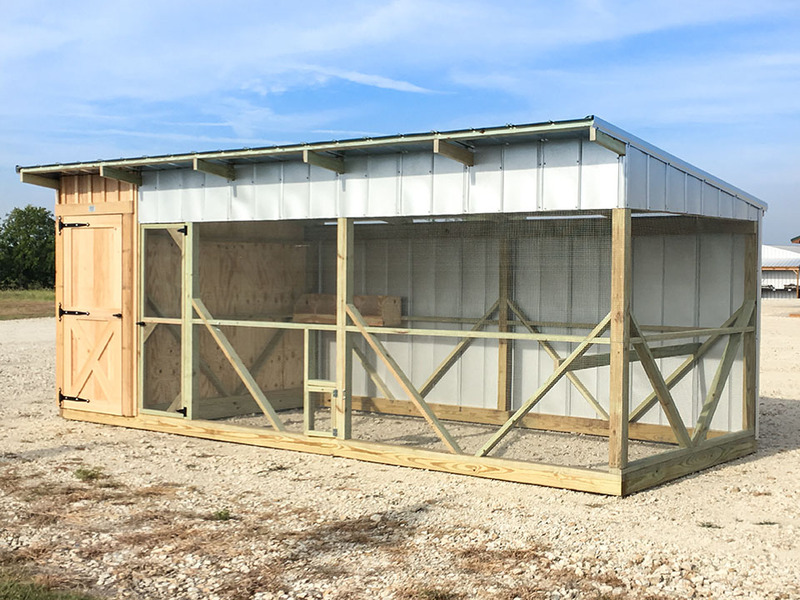 Includes a 4′ feed room to allow for ease of caring for the chickens. Will accommodate 25 chickens comfortably. Available colors include Galvalume, Red or Green. 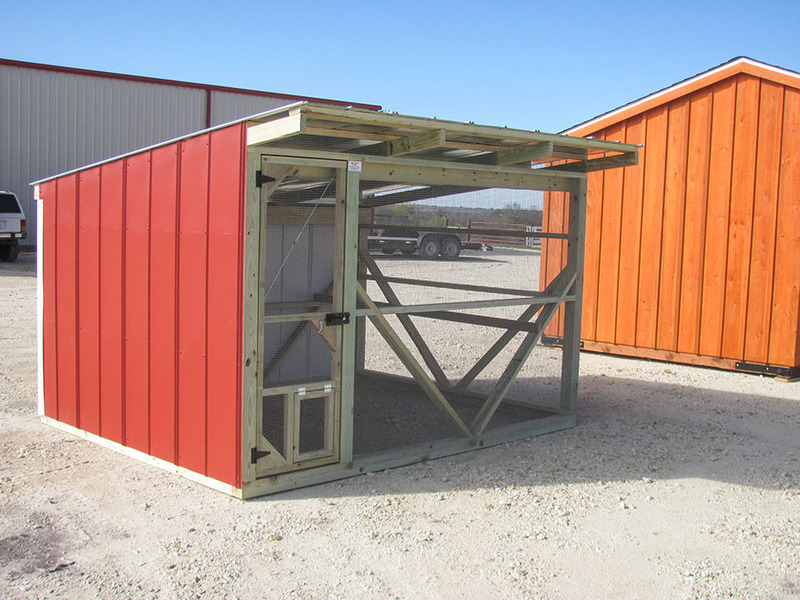 Free delivery up to 25 miles from our mfg facility in Lott Tx.